How Do Online Installment Loans for Bad Credit Work? The American population collectively carries roughly 120 billion dollars worth of personal loan balances. Personal loans are taken on for a variety of reasons ranging from paying down medical bills to paying for vacations and more. For some, getting loans is as easy as walking into a bank, filling out an application, and walking out with the money they need. For others, the process is a lot harder. Stricter regulations imposed by authorities have made mainstream lenders more particular about who they borrow money to. If you have subpar credit, this lending prudishness might lead to your inability to borrow. This is where the value of online installment loans for bad credit lies in. Online installment loans can be tailor-made for borrowers with below average credit and have consequently surged in the last half-decade. But what are they and how do they work? We’ll answer all of your questions below. Installment loans are a broad term used to describe what most personal loans are. It’s money you borrow and then pay back on a predetermined schedule plus applicable interest. For example, if you took out an online installment loan of $100.00, you would then pay the lender back once per month (presumably) in installments of $10.00 plus interest. Once your balance plus interest gets paid off, you’ve fulfilled the terms of your loan. “Online installment loans for bad credit” are just a variation of regular installment loans in that they are made for people who have below average credits score. What Makes Them Different from Traditional Installment Loans? There are two core factors that make online installment loans for bad credit different than traditional installment loans. First, installment loans for bad credit are a lot easier to get than their traditional counterparts. 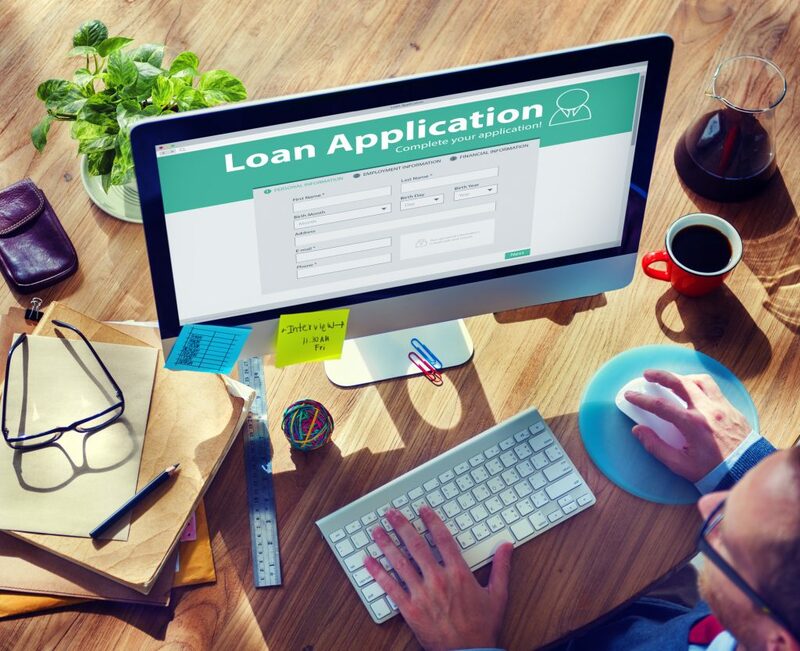 Lenders have made the requirements around bad credit installment loans easier to satisfy than other loan products so they can be attained by more applicants. The second differentiating factor is their cost. Almost always, bad credit loans are more expensive to carry than those for people with good credit. This expense comes in the way of interest and fees. Lenders charge more for online installment loans for bad credit because of the risk they pose. It’s assumed that people with poor credit are more likely to default on their loan balance. That defaulting could cost lenders thousands of dollars. To mitigate the risk, lenders charge more interest and are more aggressive with their fees. How Does the Online Installment Loans Process Work? There is a lot of in-depth information about this question available online. To keep things simple, we’ve broken down the online installment loan process into a few actionable steps. In order to apply for a loan, you have to find a lender. It’s important to note that not all lenders are of the same quality. Different lenders will charge different interest rates and fees for their products. Furthermore, they may have varying degrees of respectability within the financial services community. Do your best to carefully analyze both the products lenders are offering and the companies themselves to make sure you don’t fall into a predatory borrowing situation. Read online reviews, compare their offerings, and contact the agencies you’re interested in. Once you’ve found a lender you like, browse their products and see which ones best suit your needs. Remember, when you apply for a loan, your credit score may go down. That’s why it’s important that you only apply for products you feel you have a great chance of getting approved for. Look for loan offers that advertise being for customers with “subprime credit” or bad credit. Doing so will give you the best chance of avoiding rejection. After applying for a loan, some loan providers will approve you instantly. Others may take weeks to give you a reply. If you’re approved, your lender will transfer your agreed upon loan amount to your bank account – and you’re free to start spending it however you wish. Sometimes, the money can be used for any purpose. It’s important to keep up with your payments as soon as your online installment loan for bad credit gets funded. The schedule based on which you need to make payments should have been made clear to you before you took your loan out. If you have any questions, contact your loan provider immediately so you’re clear on what you need to do to avoid unnecessary fees. Making payments on your loan balance can be something that you put into effect manually through your loan provider’s online portal. For added convenience, you should also be able to schedule payments automatically. Once you’ve paid off your principal loan amount plus interest, you’ll be debt-free and your credit score will have improved. Online installment loans for bad credit work like any loan product. You apply, get approved, and then make payments in installments plus interest. Remember, the better your credit rating is, the better terms you’ll get around future loan products. Be sure to manage your bad credit installment loan responsibly so you can boost your credit score and start getting better deals when borrowing money! Looking for more simple yet effective tips on how to improve your financial life? If so, check out these 10 ways to increase joy without spending money!